Professor Radwin is Founder and Past-Chair of the Department of Biomedical Engineering and the University of Wisconsin-Madison. His research focuses on the physiological and biomechanical aspects of work. He investigates how to better design jobs, equipment, tools, products, and environments in which people play a significant role, so that human capabilities are maximized, physical stress and fatigue are minimized, and workload is optimized. Radwin’s research in the Living Environments Laboratory explores how to provide a more natural interface for immersive virtual reality environments. He utilizes real-time biofeedback combined with tracked body movements and natural gestures, and pseudo-haptics to simulate forceful exertions (e.g. lifting, pushing, and pulling) against projections of virtual objects. 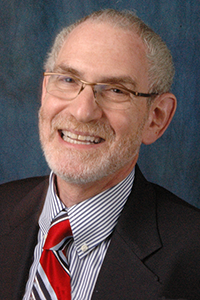 He and his collaborators in the School of Medicine and Public Health and Department of Computer Science are currently studying how people interact with visually simulated objects and perform “virtual exertions” for creating flexible prototypes of products, systems and environments for human factors research and development, and for training. They are also developing simulations of surgical and medical procedures for training and improving medical tools and devices, including a CAVE simulation of an ER trauma bay.